Google's services like Google Analytics, Google My Business and Google+ really help towards your website's marketing. Like with our Social Media Setups , you can set these services up yourself, however if you value your time and would like a hassle free setup, we can do it for you at a very low cost. If you use Adwords, you can measure your ROI using Analytics. You can also see which pages on your site are most effective as well as which devices your visitors use – and make sure that your site works in all of them. Analytics will tell you how many visitors are hitting your site, where they are, how long they stay for, what device they're using etc. so you can get a real idea of how well your website is performing and where you may need to make some improvements. 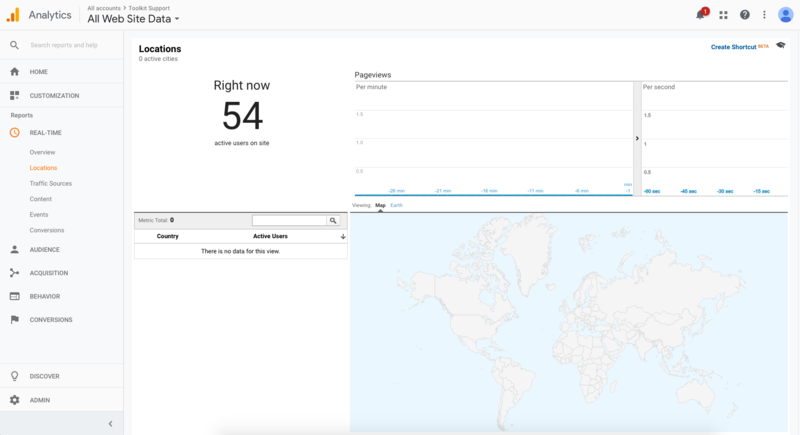 With the setup, we also go a step further and set you up on a monthly mailer, so Google send you your data to save you logging in to Analytics. 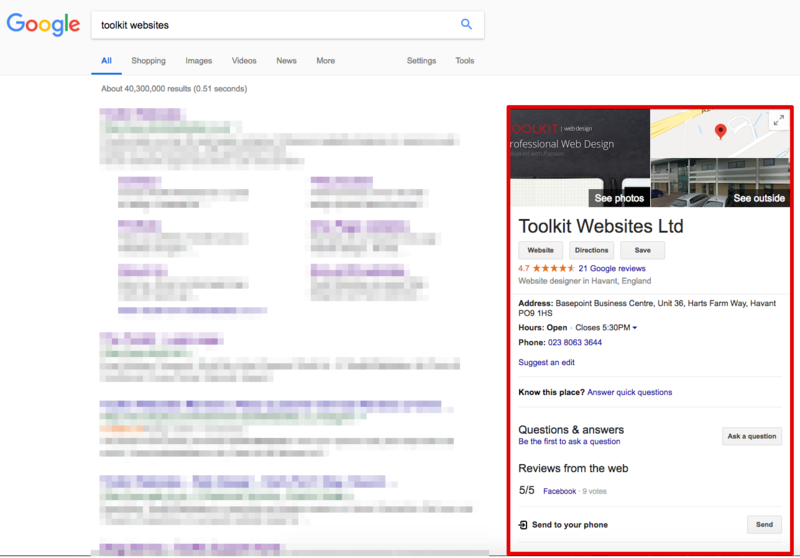 Google My Business is an easy-to-use tool for businesses, allowing them to manage their online presence across Google, including Search and Maps. Have you ever searched for a company directly and then seen their info appear on the right of the search results? This is their Google My Business listing. By using this Google Service, you can both help customers find you and tell them the story of your business. Google Plus, shortened to Google+ or just G+, is Google's own Social Media platform. Features include the ability to post photos and status updates to the stream. Google reward those who use their services, so we're more than happy to create a branded profile for your business. We just charge for the time it takes for a member of our team to setup your Google Service. With this we'll match your website's branding across the platform to give an extra professional feel. Each setup is just £95+VAT, but we also offer discounts for multiple setups. When complete we'll add the relevant links and code to your website to ensure the Google Service Setup is complete.